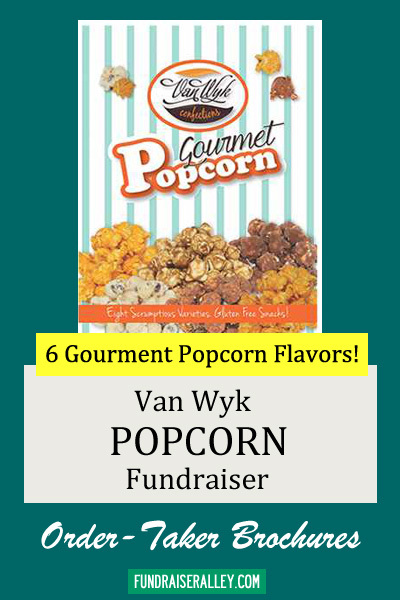 The Van Wyk Gourmet Popcorn Order-Taker Brochures will be a hit for your next fundraiser. Popcorn is a fun snack and these yummy flavors are hard to resist. Each bag sells for only $10 each and you will earn a 40% profit on your sales. 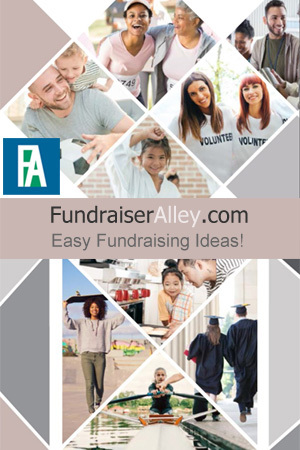 It’s a risk free fundraiser – just order your free brochures, take orders, collect payments, and send off your order. When you receive your popcorn, each participant delivers it to their customers. 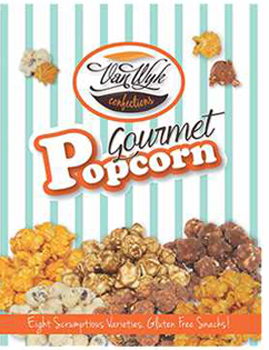 This yummy gourmet popcorn has 7 flavor choices. Made in the USA, it is GMO Free Corn, MSG Free, Gluten Free, and has 0g Trans Fat. It comes in a handy resealable bag. Every bag sells for $10 each.